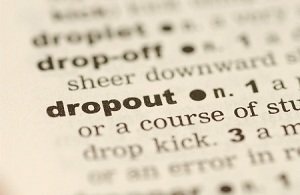 Although studies and statistics show that school dropout rate has been slowly but steadily decreasing for the last couple of decades, the percentage of students leaving school early across the United States is still far from being reassuring: the last survey, taken in 2012, shows that between ages 16 and 24 about 7 percent of students dropped out of their educational institutions. It is better than back in 2000 (then it was 11 percent) but still astonishingly high for a developed country. Why does it happen? And what consequences does it bring to those in question and to the society in general? According to statistics, both the dropouts themselves and our society have to pay dearly for this situation. The former have to enter adult life and the workforce market without having even the most basic credentials and thus without viable opportunities to get decent jobs. The latter has to deal with a considerable number of people who are not ready to earn their living and are much more likely to try criminal ways of doing it, which can hardly be called a good thing for society. Of course some would say that having no education does bar one from a lot of occupations, some of which are quite profitable. The history is rife with examples of people who managed to achieve much without getting even a rather basic education; however, the majority of those who drop out do it exactly for the reason that their personalities are inclined to do so – if they actually wanted to graduate from high school and felt motivation to do it they could have done it. The lack of will they show signifies that they are unlikely to belong to the people who are capable of literally making themselves. Although the majority of dropouts seem to indicate their reason for leaving school as something along the lines of “school wasn’t interesting” or “did not like classes”, the reality generally has less to do with personal preferences. The real reasons why students drop out of school vary considerably from case to case, but generally fall within the area of interrelationships between the student, school, family and community. Most often all of these are combined in this or that way: for example, family comes from a poor neighborhood, one of the parents is missing or they don’t take much interest in their offspring in general, the student isn’t motivated to attend school or excel at classes, which results in poor performance, low grades, failed tests and, finally, causes him to drop out. What is the reason of what, exactly, how to unravel this situation? Practice shows that the only way of decreasing dropout in a direct ways is to increase student engagement to attach them to school even if they are not motivated to do so by their families. But in addition to that, education system cannot do much – it is extremely hard to help somebody who isn’t willing to help themselves.